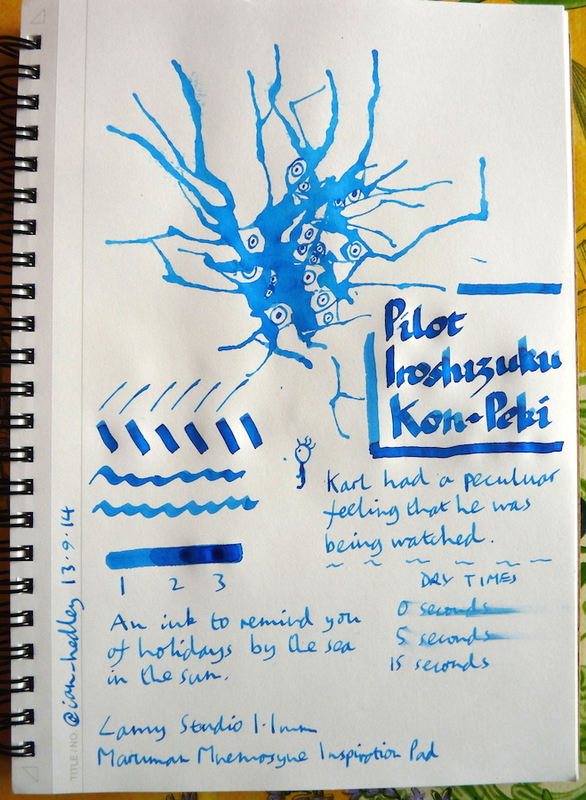 Pilot Iroshizuku Kon-Peki ink review – Pens! Paper! Pencils! Kon-Peki is a joyful ink. It’s bright and cheerful and sunny and reminds me of the colour of sea in warm countries. It’s not quite my favourite blue but it’s right up there with the best of them. It also dries very quickly indeed. 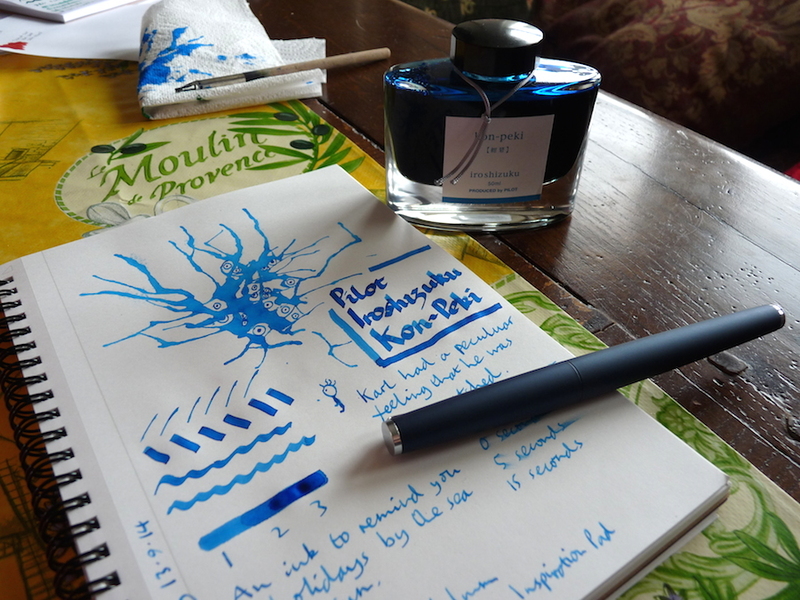 You can find some more reviews of Iroshizuku Kon-Peki on Pennaquod. Oh no! Conveniently for Karl, however, Ingrid the Ink Blot had trouble ingesting him. It turns out, Karl was now starring in his very own reality tv show watched by millions every week. Karl’s surname is Kardashian, after all.